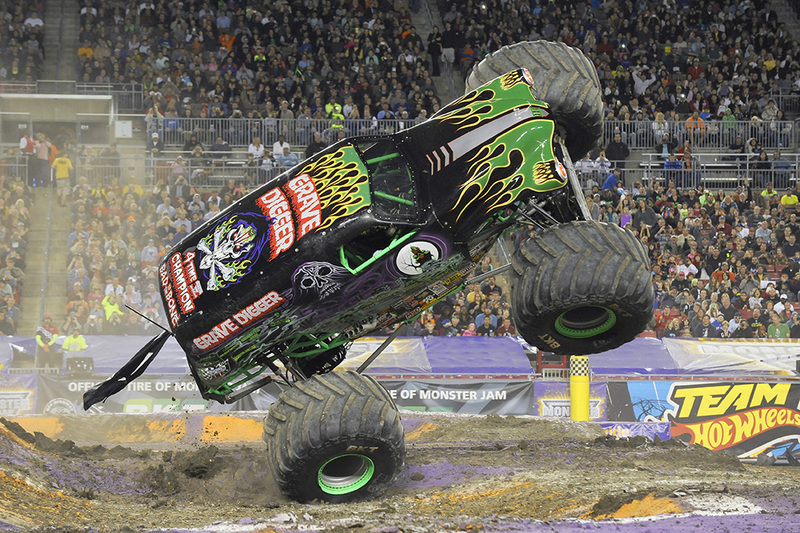 Home » Family » Monster Jam® is Coming to Portland! Monster Jam® is Coming to Portland! 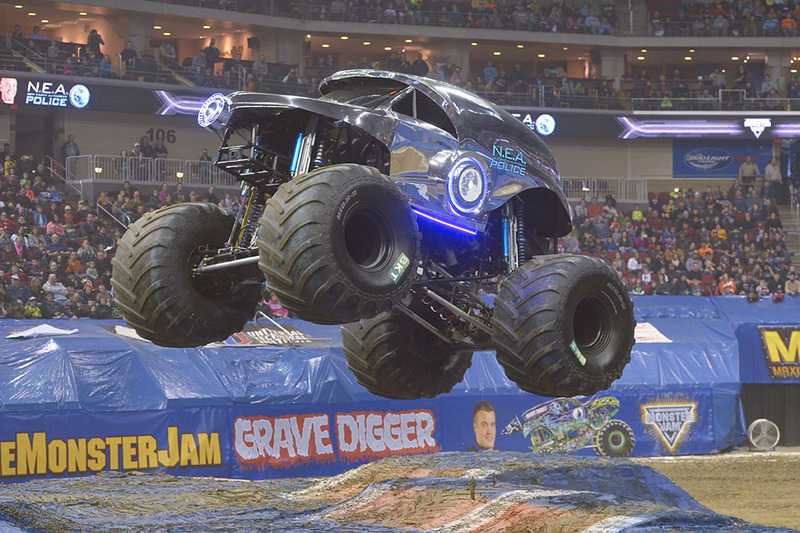 Monster Jam® roars back into Portland, February 13th and 14th!!! Get your tickets now for this action-packed, fun-filled, family event!! The widely popular Monster Jam® tour is heading back to Portland’s Moda Center on Saturday, February 13 and Sunday, February 14, 2016 for an explosive new competitive points-paying endurance showdown, featuring more of what the Monster Jam fans have been asking to see…#MoreMonsterJam! Unlike any other Monster Jam show seen before, this exclusive showcase of endurance, versatility and extreme driving skills will feature the best Monster Jam truck line-up ever highlighted by more racing, more freestyle, more donuts, more wheelies and more action… #MoreMonsterJam! Fans will also be treated to all-new competition vehicles such as thrilling Monster Jam Speedsters and Monster Jam ATVs as they rip through the arenas. Headlining the tour will be eight of Monster Jam’s fiercest athletes, which will represent each Monster Jam race team featuring Monster Jam trucks, Monster Jam Speedsters, and Monster Jam ATV’s – with each Monster Jam athlete competing against one another in seven different endurance competitions driving these three different motorsports vehicles to earn valuable points during each new event discipline and pushing their machines to the ultimate limit! This is going to be a phenomenal show. My son has been looking forward to Monster Jam for MONTHS! See you at the Moda Center for #MoreMonsterJam!!!! This is an AWESOME deal, and makes Monster Jam affordable for the whole family!!! Take advantage of this savings!!!! Tickets are now on sale and available for purchase online at Ticketmaster.com, charge by phone by calling 800-745-3000 or in-person at the Rose Quarter Box Office. **Above ticket prices are advance purchase only; all tickets are $2 more day of show; Tickets subject to convenience, service and handling fees. Click to find out more about Monster Jam in Portland, Oregon!! I am a Feld Family Ambassador, and in exchange for my time and efforts in attending shows and reporting my opinion within this blog, as well as keeping you advised of the latest discount offers, Feld Entertainment has providedme with complimentary tickets to Feld shows and opportunities to attend private Feld pre-Show events. Even though I receive these benefits, I always give an opinion that is 100% mine.